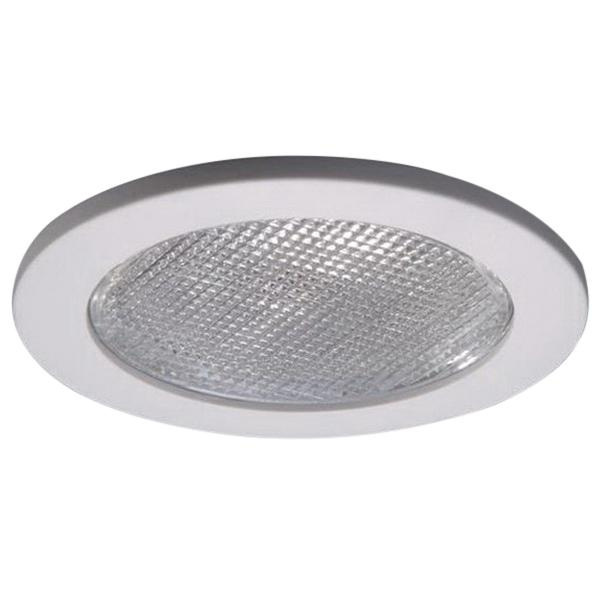 Halo 4-Inch Round lensed showerlight trim in white color, features polymer construction. It accommodates 40-Watt A-19, 35-/50-Watt PAR20 or 30/50-Watt R20 lamp and is ideal for wet locations. It measures 5-1/16-Inch OD x 4-1/2-Inch.